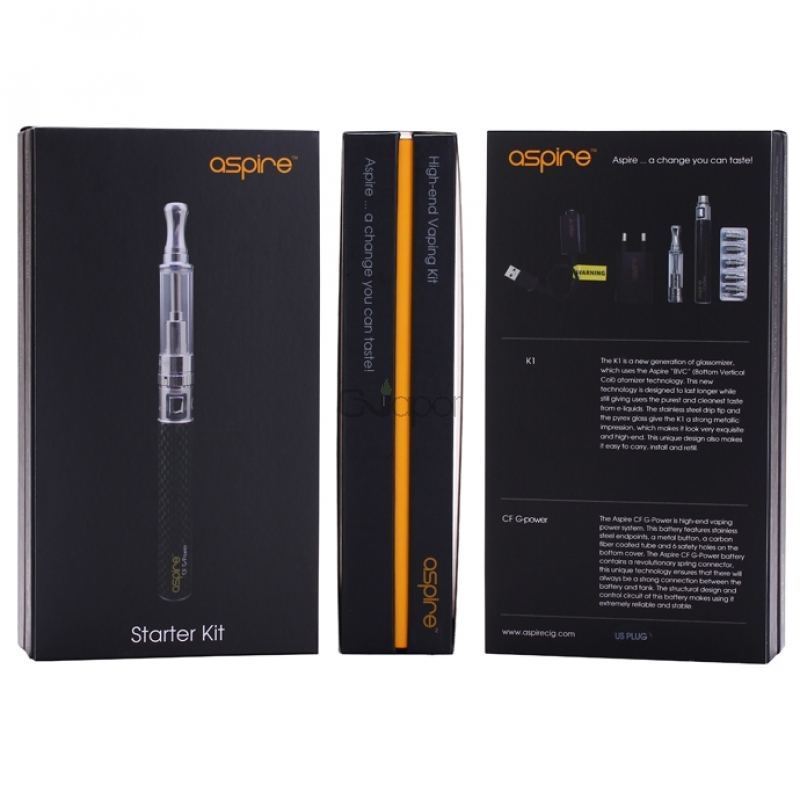 The Aspire starter kit is made of an Aspire G-Power 900mah battery and a K1 glassomizer. 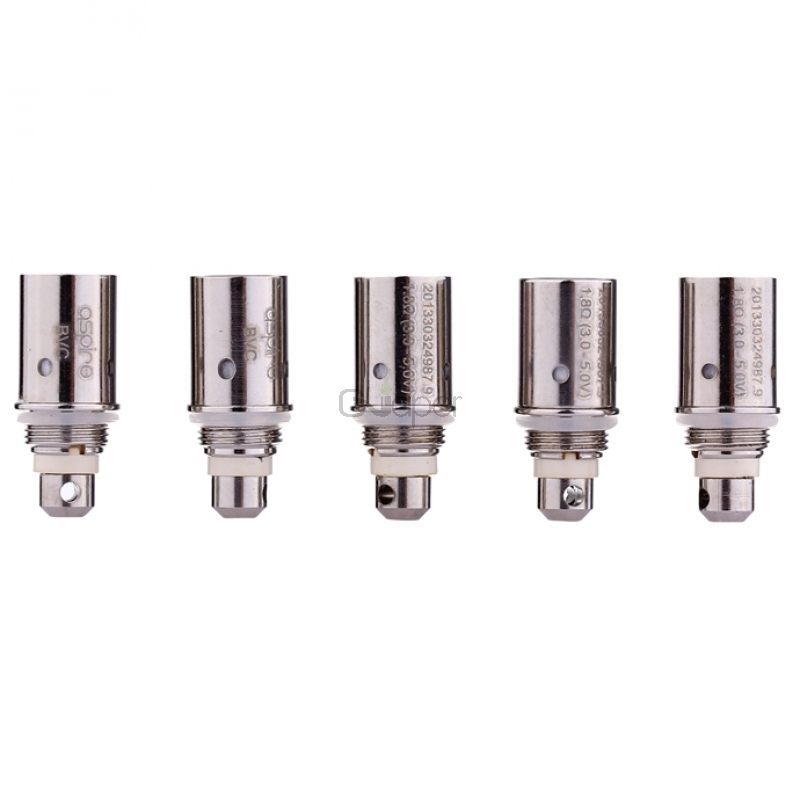 Using the new Aspire coil technology BVC and stainless steel drip tip and Aspire K1 glassomizer leaves a strong metallic impression. This unique design makes it easy to carry, install and refill. The K1 is a new generation of glassomizer,which uses the Aspire “BVC” (Bottom Vertical Coil) atomizer technology. This new technology is designed to last longer while still giving users the purest and cleanest taste from e-liquids. The stainless steel drip tip and the pyrex glass give the K1 a strong metallic impression,which makes it look very exquisite and high-end. This unique design also makes it easy to carry,install and refill. 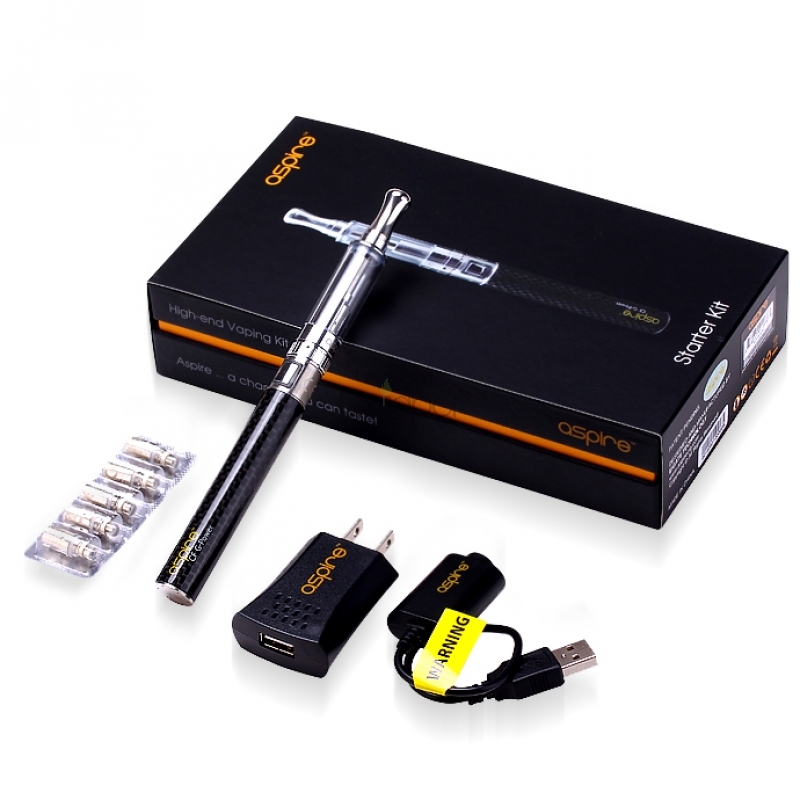 The Aspire CF G-Power is high-end vaping power system. This battery features stainless steel end points, a metal button, a carbon fiber coated tube and 6 safety holes on the bottom cover. The Aspire G-Power battery contains a revolutionary spring connector. This unique technology ensures that there will always be a strong connection between the battery and e-cigarette tank. The structural design and control circuit of this battery series makes using it extremely reliable and stable. 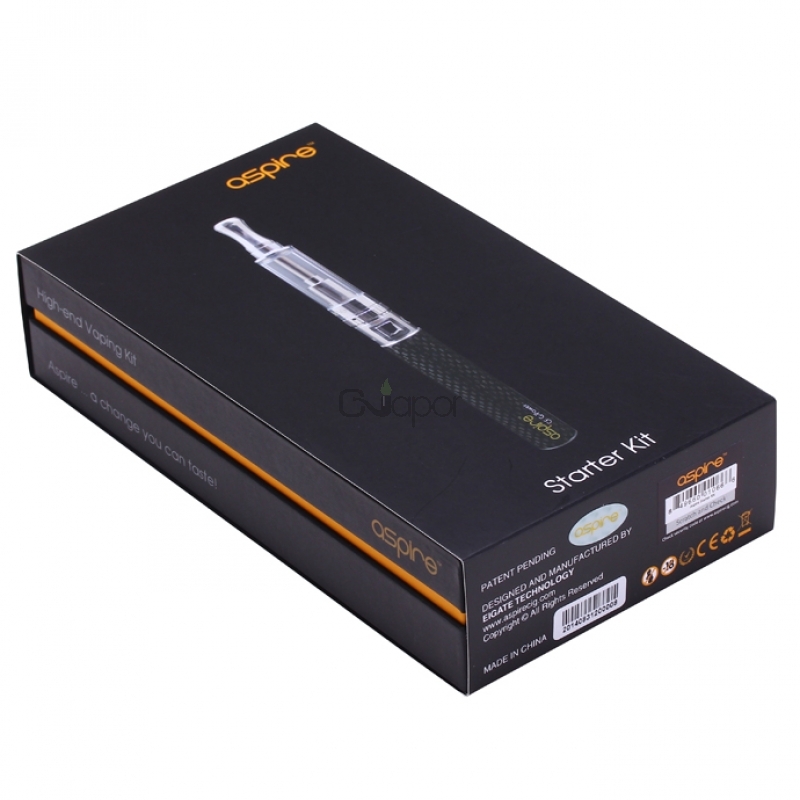 The Aspire CF G-Power is high-end vaping power system. This battery features stainless steel endpoints, a metal button, a carbon fiber coated tube and 6 safety holes on the bottom cover. 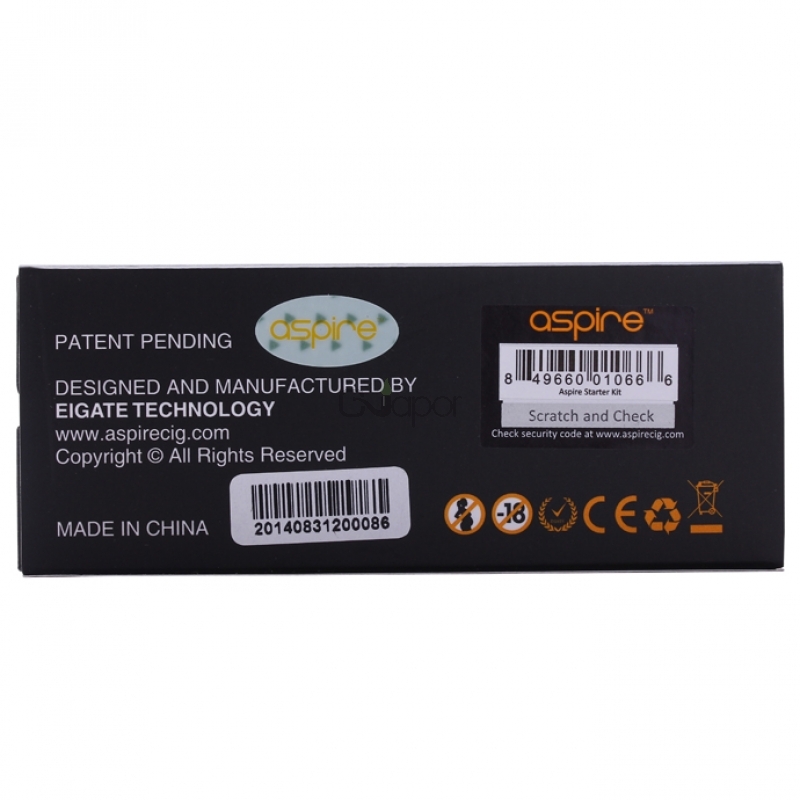 The Aspire G-Power battery contains a revolutionary spring connector. This unique technology ensures that there will always be a strong connection between the battery and e-cigarette tank. The structural design and control circuit of this battery series makes using it extremely reliable and stable. 3.Changeable bottom verticall coil with airflow control. 4. The 3D unique sticker compatible with eGo series battery. 5.Top rated material showing the exclusive quality. It works great, love the design of airflow adjustment, very fast shipping and superior customer service. I’m pleased with my purchase. Its superior quality makes vaping so pleasurable!